Born in Italy but raised in a gritty outer-Boston neighborhood, Tony Williams was going nowhere fast until he discovered dance as a teenager. “I was living in the projects, one of a biracial family of nine, heading for trouble,” he remembers. “But I’d been doing gymnastics along with baseball and track, and one day I heard these guys at the gym talking about how the Russian gymnasts were studying ballet.” Intrigued, he decided to give ballet class a try. “It turned on a switch,” he says. Nine months later, at age 17, Williams became one of the charter members of Boston Ballet. 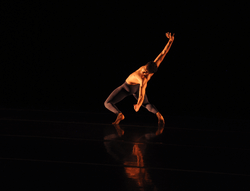 Today, following a remarkable professional career that included stints at the Joffrey Ballet, Royal Winnipeg Ballet, Norwegian National Ballet and Portugal’s Ballet Gulbenkian, Williams is back in his old neighborhood: His studio, the Tony Williams Dance Center, is based in Jamaica Plain, Boston. But it took him a while to get there. 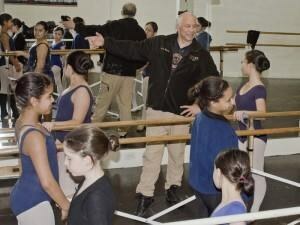 After retiring from the stage, Williams discovered that he had a true gift for teaching and started giving classes at studios all over New England. He was a nomad for nearly 20 years before he decided that he—and his three sons—needed a home base. In 1995 he founded BalletRox, a nonprofit organization that includes a dance company, a youth troupe and a scholarship program that gives underserved Boston children the opportunity to study dance. His mission was to use dance to break down racial and socio-economic barriers. Five years later, realizing that he needed his own facility with proper studios and barres for his growing organization, Williams established TWDC, which houses BalletRox but also serves 300 students from all over the greater Boston area. “Tony has created a place that is all-accepting,” says Valerie Aquaviva Maio, who’s been on faculty at TWDC almost since its inception.